After months of chili, hot and raging Burgers of the Month, Teddy’s Bigger Burgers unveils a unique twist with the September Burger of the Month—the featured Greek Burger. As always, the core of the Greek Burger is a thick patty of 100 percent ground chuck, topped with fresh garlic, crumbly feta cheese, red onions, crisp cucumbers, tomatoes, lettuce and tangy, Mediterranean-style red wine vinaigrette. Every bite is an explosion of bright, natural flavors, accenting Teddy’s juicy burger. The Greek Burger can also be served as a salad, with similar amazing toppings—feta cheese, kalamata olives, tomatoes, cucumbers and vinaigrette on the side. To match this exotic creation, Teddy’s Bigger Burgers’ September Shake of the Month is the equally exciting Macadamia Nut Shake. Creamy, cold goodness is served in every Macadamia Nut Shake, jam packed with a pint’s worth of ice cream and milk, blended to reach shake nirvana. Every sip is thick, nutty and smooth on the tongue—thanks to the amazing locally-churned Macadamia Nut ice cream. 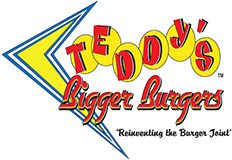 And have you checked out Teddy’s most recently-opened locations in Kaneohe and Ewa Beach? If not, we welcome you to stop by and enjoy a Greek Burger today!